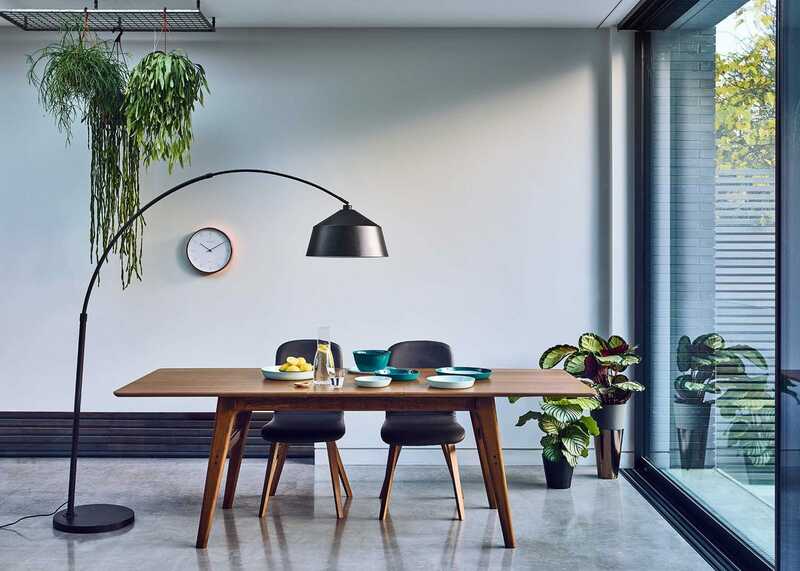 Crafted in Heal's own factory in Northern Italy, the home of luxury craftsmanship, the Wyatt Chair, sold as a pair, epitomises sleek modern style for the dining room. 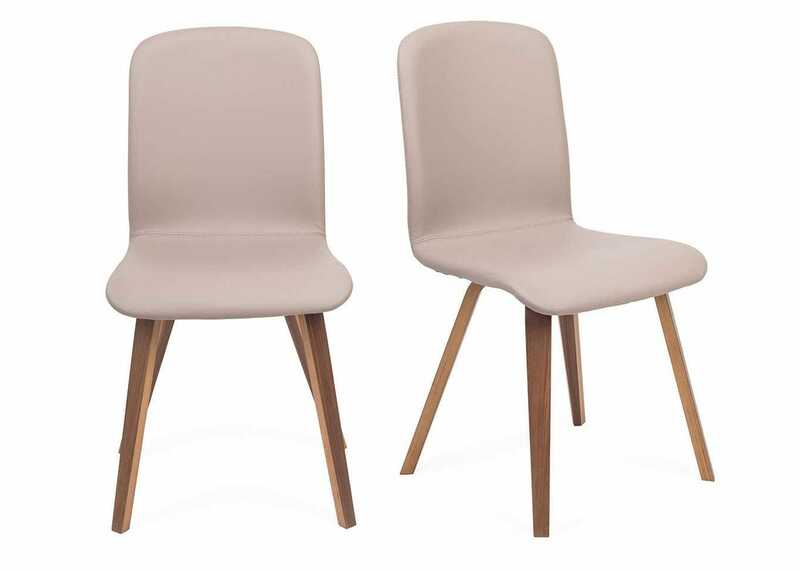 An elegantly curved Ply shell is upholstered in a leather effect material creating a simple and comfortable sit, perfect for everyday use or lavish dinner parties with friends. 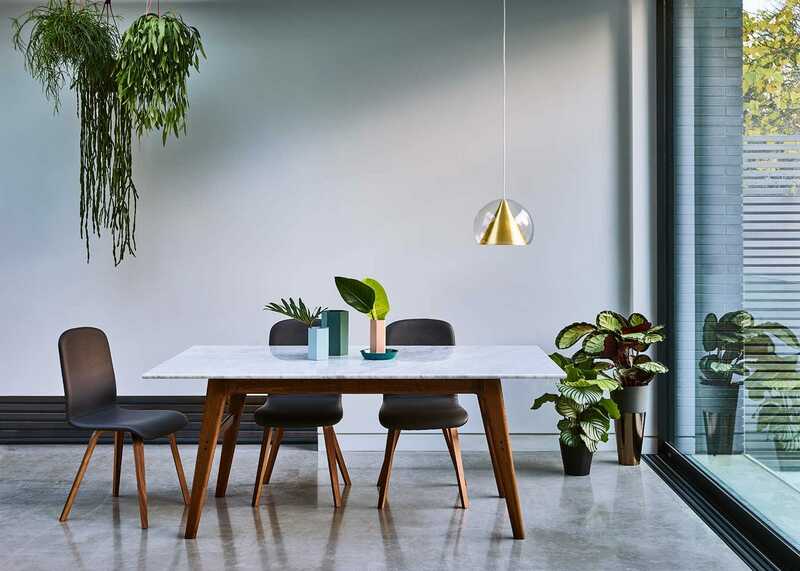 A versatile design that suits any modern or mid-century space, the chairs will pair beautifully with the new Blake dining table and Cross Extending table in Walnut. 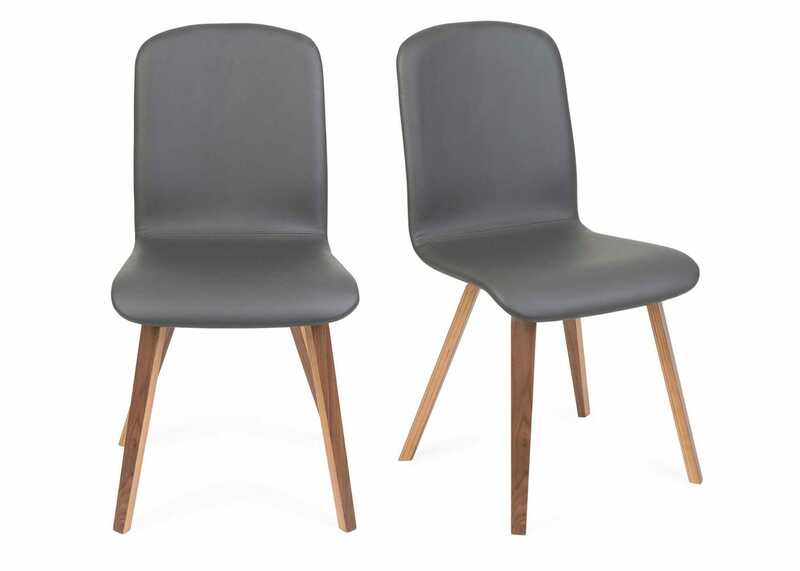 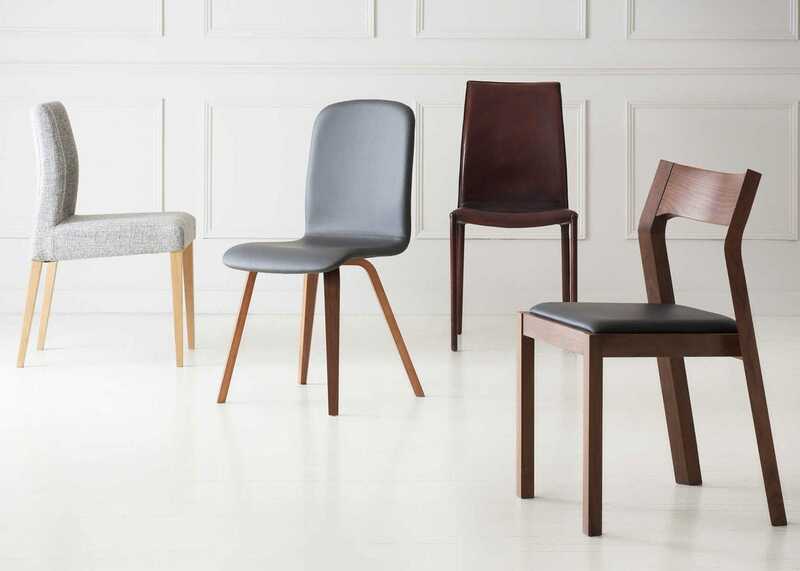 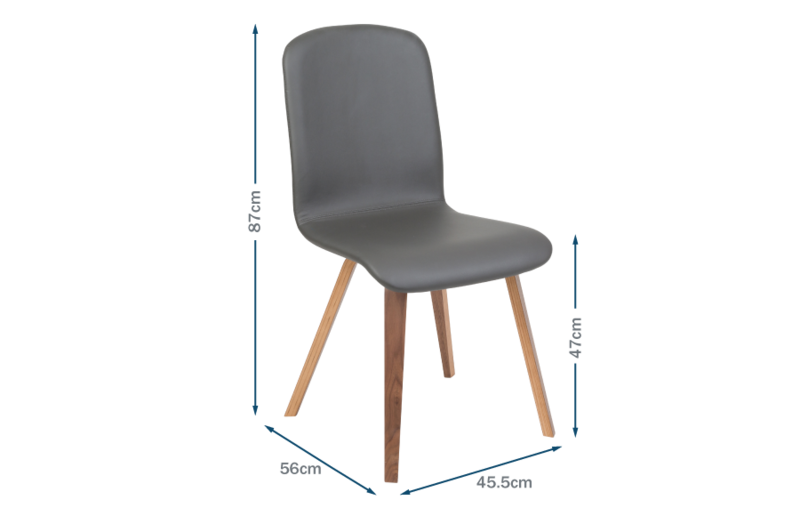 Produced with fully FSC quality wood, the chair comes fully assembled with one piece of timber being used for the full height of the chair from leg to top, increasing durability and structural integrity. 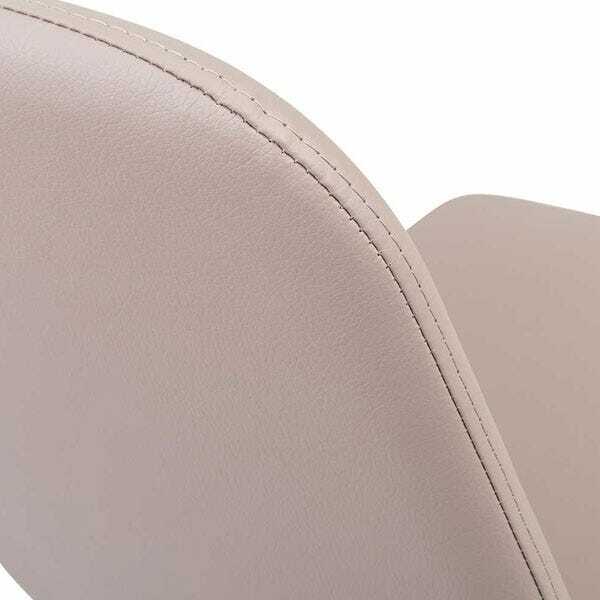 Upholstered in leather effect fabric, suitable for severe contract, making it perfect for everyday use in a dining room environment. 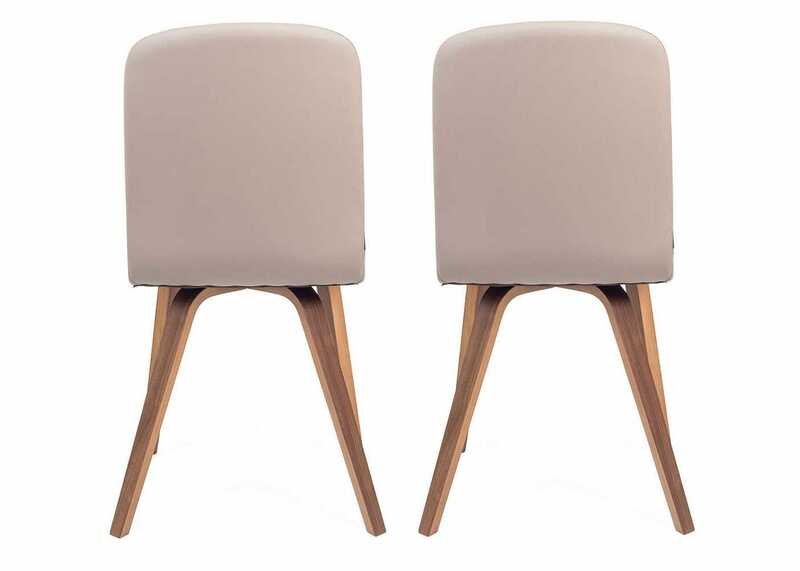 The Chair is available in three leather effect fabrics, making them remarkably easy to match with our range of dining tables, the Blake and Cross range in particular. 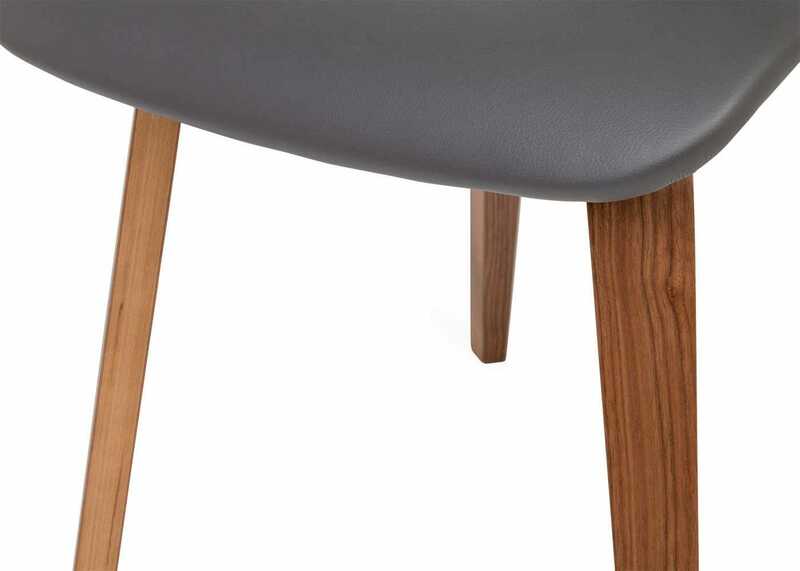 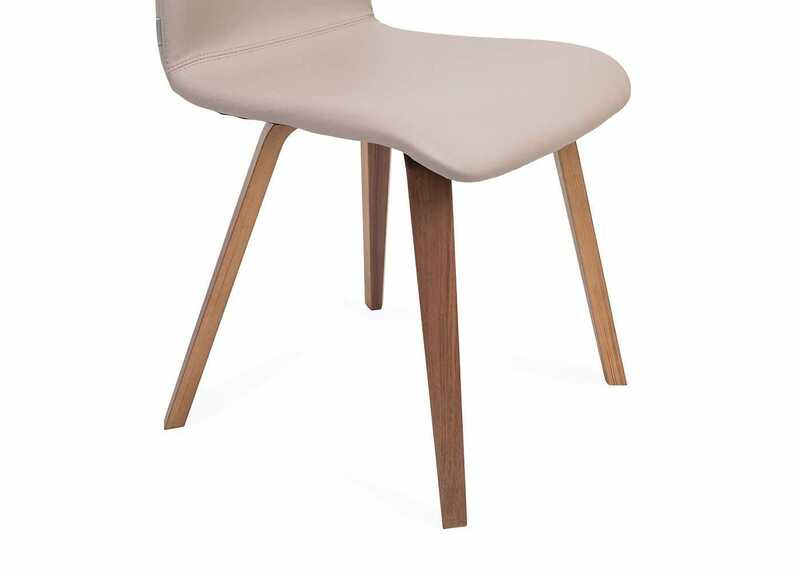 Walnut veneered legs complement the seat perfectly, providing a strong base. 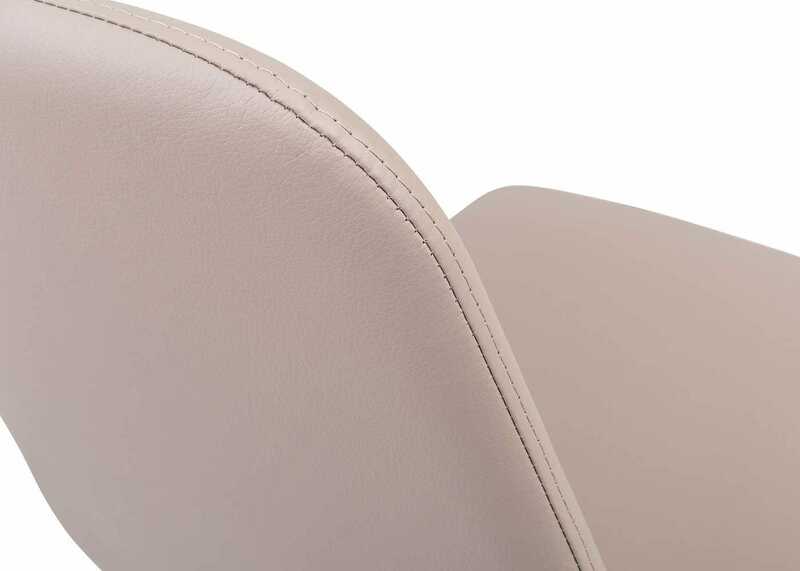 Beautifully upholstered in Northern Italy in a variety of Leather Effect options. 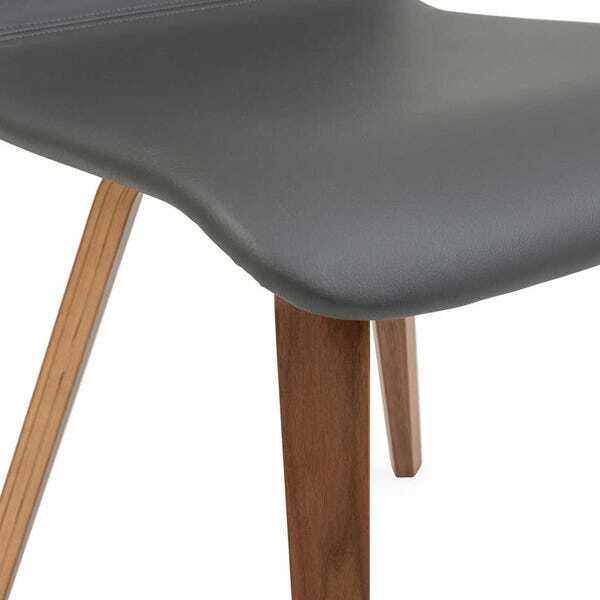 A subtly curved yet thin seat provides a comfortable sit with mid-century silhouette. 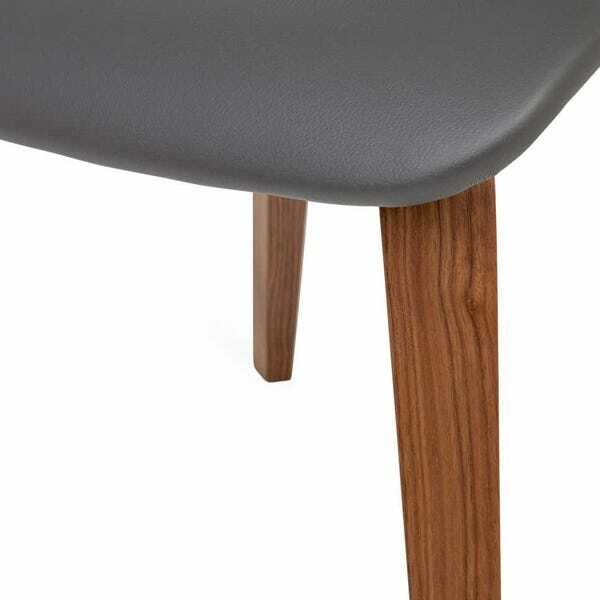 Plywood base with walnut veneer. 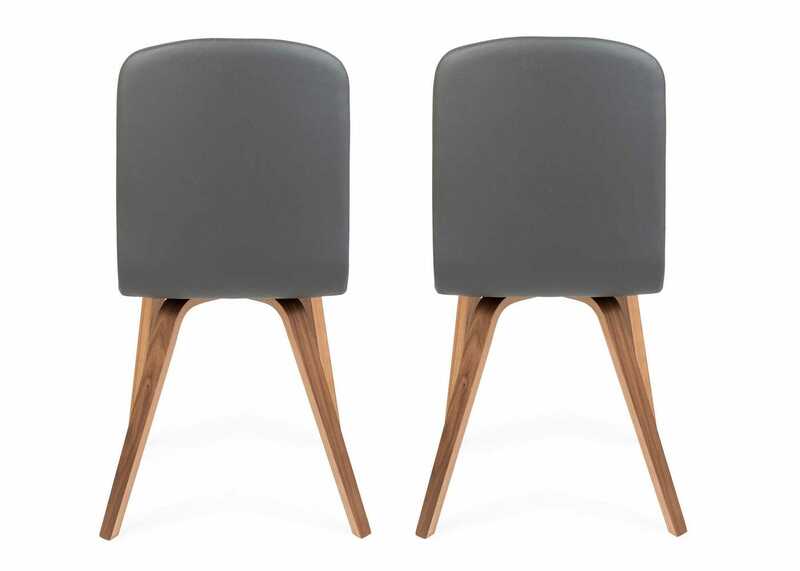 100,000 Martindale Rub Count, 70% Polyurethane 30% Cotton. 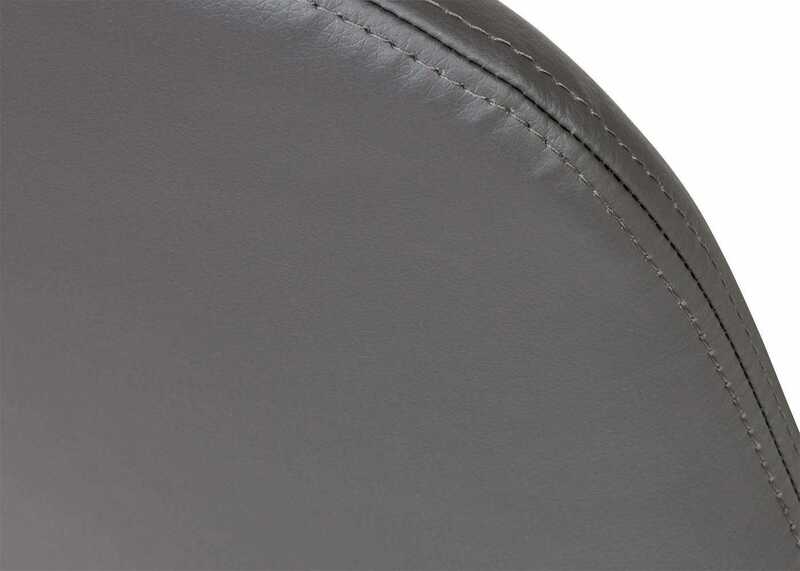 Regularly clean with a damp cloth and vacuum with a soft brush avoiding any chemical polishes and soaps. 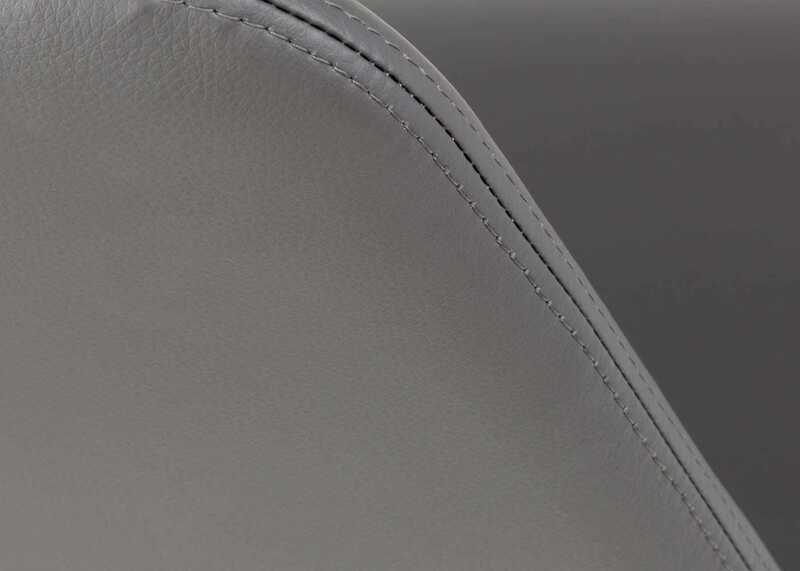 Enhanced cleaning can be done with a damp cloth and a solution of 1% mild soap.